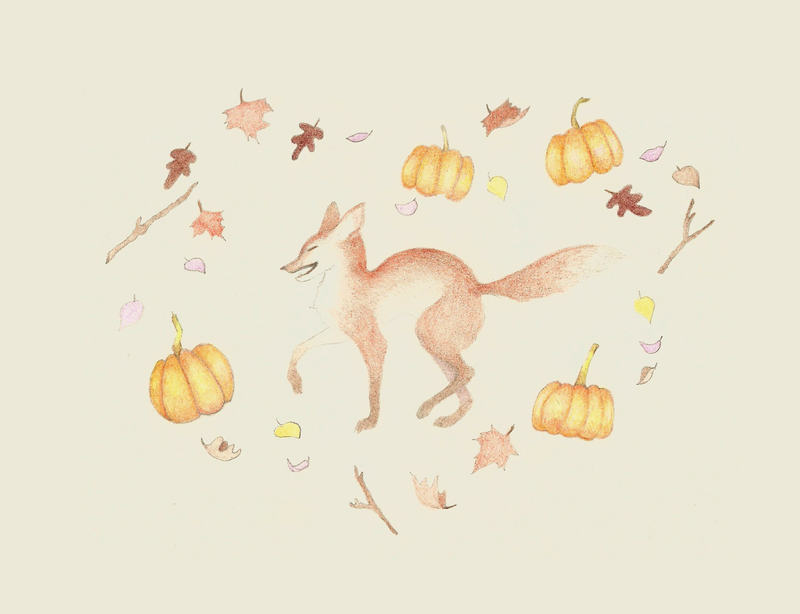 Frolicking Fox enjoying some of the wonderful things about autumn. Pumpkins and falling leaves in bright earth tone shades. That's right boys and girls, grab your broomstick, your book of spells and keep the virgin away from the black flame candle! 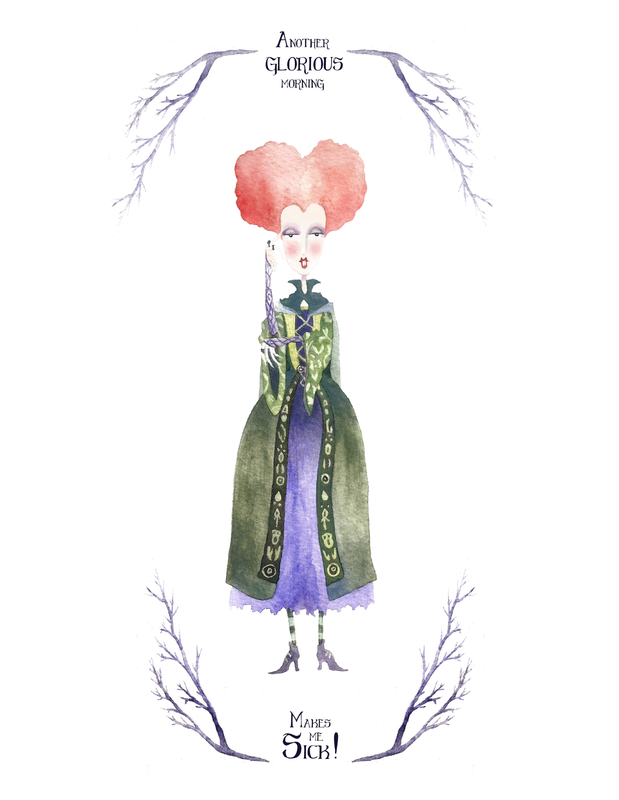 It's one of the best treats of the season: Hocus Pocus! I have grown up with this movie and I watch it every Halloween. No matter how old I get I still curl up under a nice warm blanket, with candles and some hot tea and enjoy this holiday favourite every Hallow's Eve. So, of course, I had to make a little tribute illustration for the occasion. And since we can't have Winnie be all on her own without her sisters, you can rest assured there will be a couple more of these little sketches following soon.